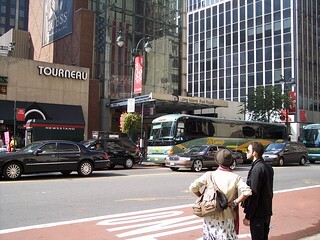 Penn Station in New York serves Amtrak, the Long Island Rail Road, New Jersey Transit, and on certain days Metro-North. 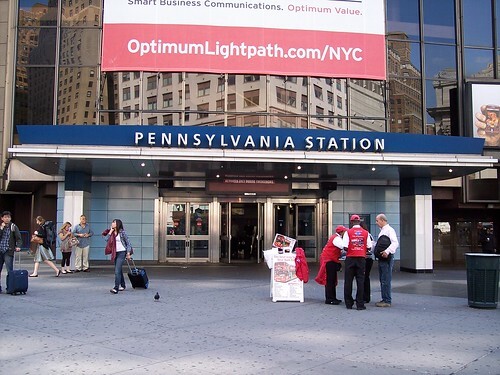 As a result, many of our journeys involved a visit to this station. 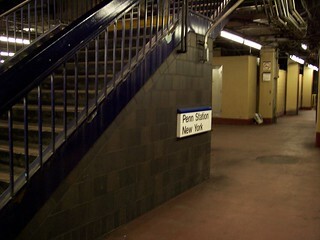 The Long Island Rail Road also has a side entrance. 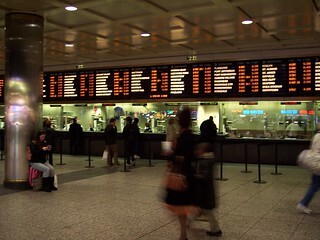 Inside are the LIRR ticket counters. 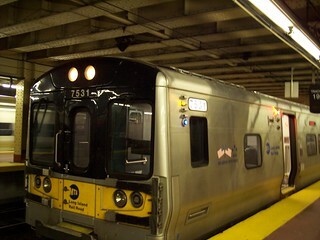 Our LIRR train from Port Washington and one of the platforms typically used by the LIRR. 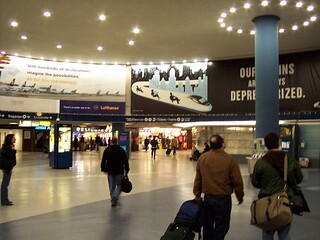 The main concourse used by Amtrak passengers. 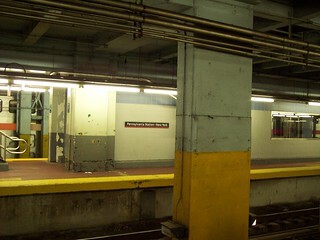 A platform in the section usually used by Amtrak and NJ Transit. 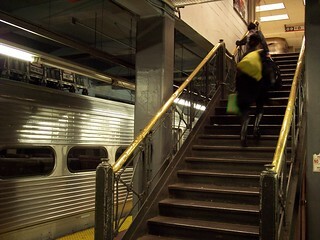 After arriving on a NJ Transit train we climb one of the old staircases.